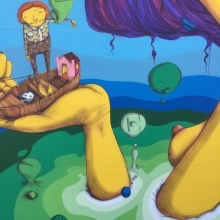 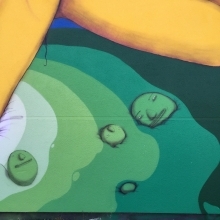 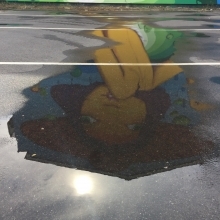 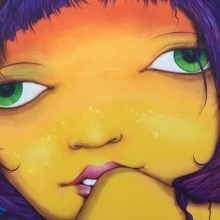 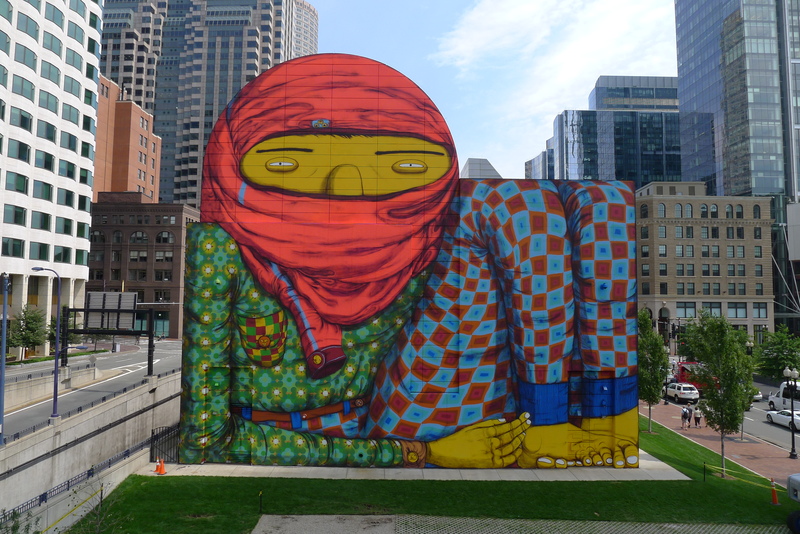 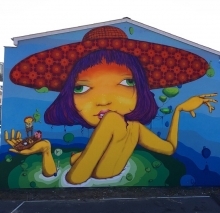 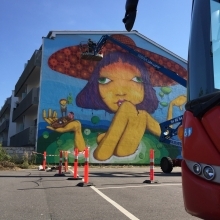 The first female Giant of OSGEMEOS was held in the city of Naestved, Denmark. 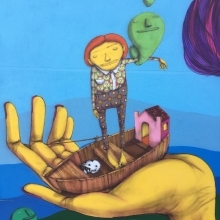 Had the support of NAESTVED KUNSTBY and sponsorship of Naestved Ungdomsskole. 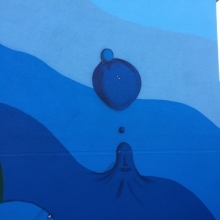 The mural is located in Farimagsvej 19-21, 4700.